We have travelled back to Japan because of the tremendous opportunity this country represents for Mississauga. 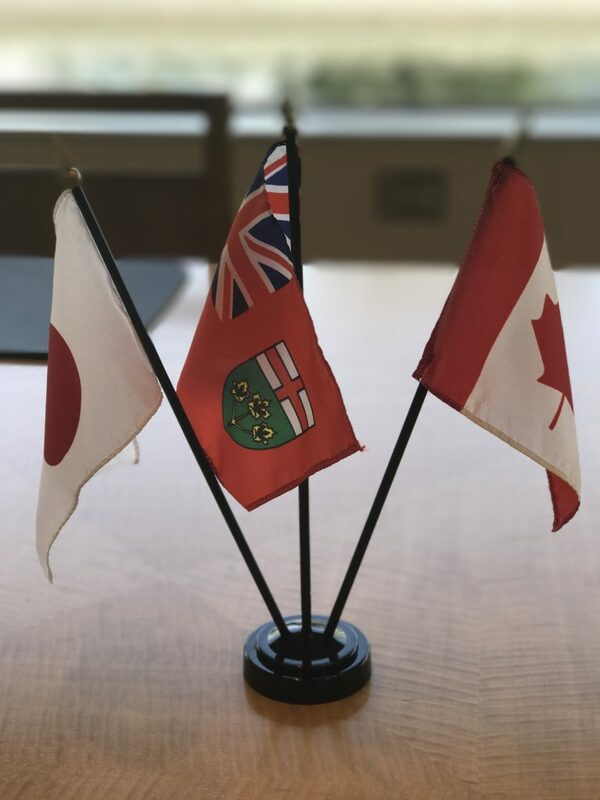 With one-third of all Japanese companies in Canada located in Mississauga, the Japanese market is incredibly important to our future economic growth as a city. Our focus on this trip is mainly on the aerospace industry, but also on business retention and expansion of existing companies in Mississauga. We will thank those Japanese businesses that call Mississauga home for their investment, as well as discuss their future expansion efforts. We will also be pursuing new investment leads and working to bring more Japanese companies to Mississauga. 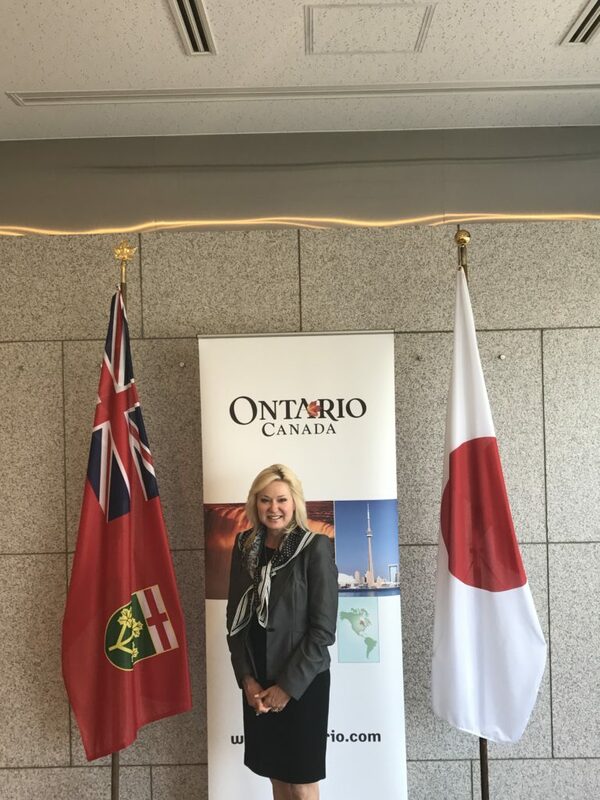 Mississauga enjoys a strong working relationship with our partners in the Canadian Embassy in Japan, as well as the Ontario Trade Commission. They represent Canada and Ontario in Japan and are in the best position to assist us in organizing our meetings while in the country. 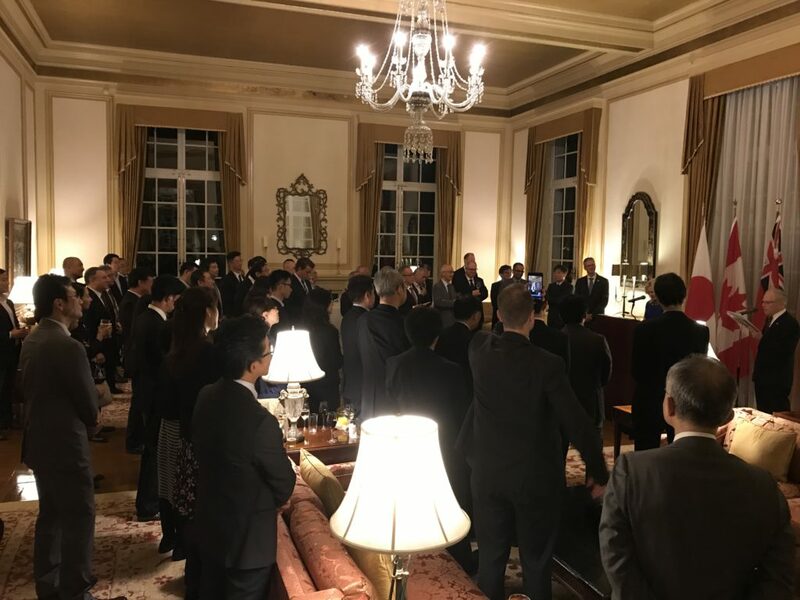 It is vital that we present a united front as governments to underscore to Japanese businesses that in Canada, all three levels of government work in partnership to attract new investment and support the businesses that choose to locate in our country. 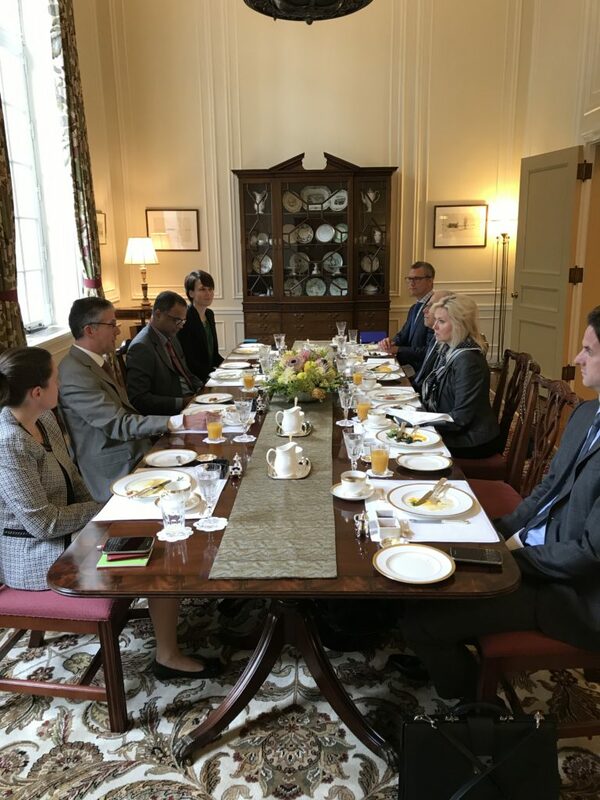 It is with this in mind that we began our mission to Japan with a breakfast hosted by Canada’s Ambassador in Japan, Ian Burney and his team, along with Ontario’s Trade Commissioner in Tokyo, David Perdue. This meeting is always informative and sets the context for our meetings while in Japan. Japan is the world’s 3rd largest economy, with $2.5 trillion in capital seeking investment opportunities. This is especially so with the negative interest rates Japan is currently experiencing; many individuals and businesses are looking internationally for a greater return on their investment. Canada is well positioned for this investment as we trade $27 billion annually with Japan and our bilateral trade relationship is strong. However, at the same time, the United States market still remains a primary focus for Japan, as they are the largest economy on Earth. As such, it is imperative that we as a country, province and city come to Japan and make our presence and value proposition known. Ambassador Burney pointed out that Canada is uniquely positioned for Japanese investment, in large part because of our highly skilled and talented workforce, and our shared cultural values. In Mississauga specifically, two-thirds of our residents have post-secondary education and 20 per cent of these people have an engineering speciality. Japanese aerospace, life sciences, and tech companies are seeking this talent. With the political instability in the United States, Canada, and by extension, Mississauga are well-positioned to capitalized on Japanese businesses looking for talent internationally. Moreover, according to surveys from the Japanese External Trade Organization (JETRO), over 40 per cent of Japanese companies are looking to expand their Canadian operations in the next 1-2 years. Finally, 30% of Canadian Japanese businesses said that they are expanding their hiring of local Canadian talent. Building relationships in Japan and showcasing our city is imperative if we want to be the recipients of this future investment and grow our local economy. 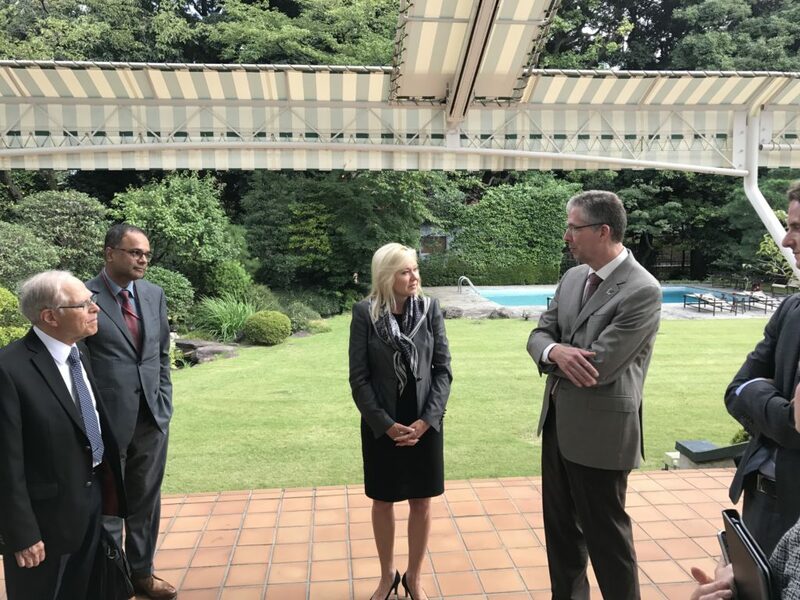 At the end of the meeting, Ambassador Burney paid compliments to the City of Mississauga’s Economic Development Office and the work that they do on a daily basis to bolster our standing with Japanese business. “Mississauga always delivers” and “Mississauga’s brand in Japan is strong,” were recurring sentiments at the breakfast. As Mayor, it makes me proud to hear an Ambassador say this about our team, and having worked closely with our EDO, I can say that these sentiments are accurate. 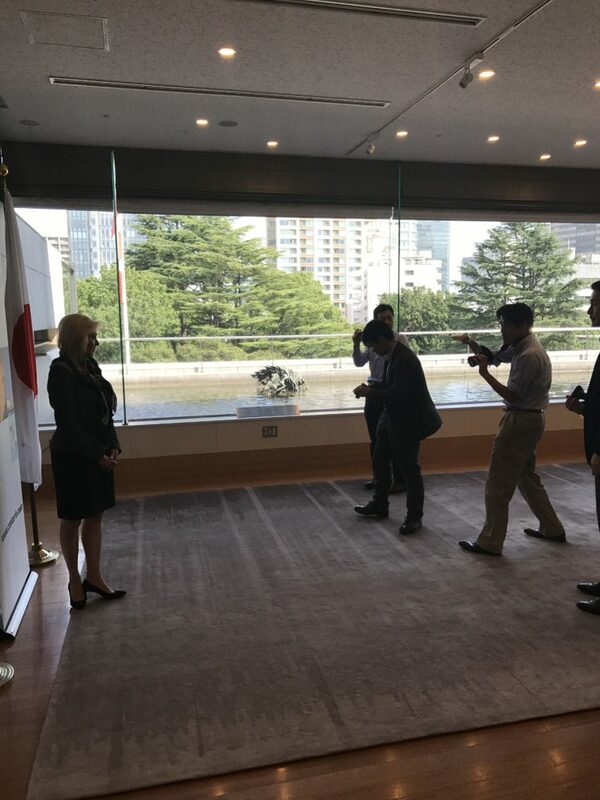 The Ambassador also reinforced how important it is for cities like Mississauga to be on the ground in Japan to build relationships and ensure our brand remains strong. 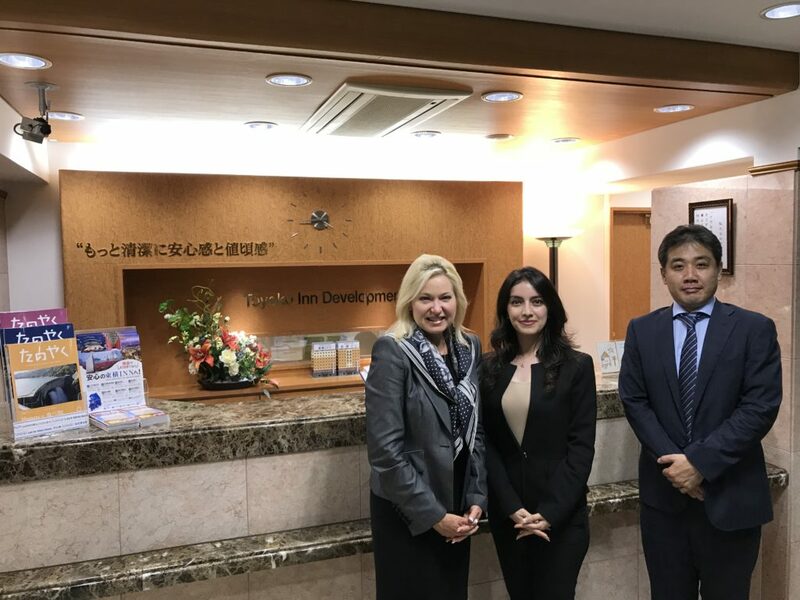 Mississauga is competing with many other international jurisdictions for Japanese investment, meaning it’s critical that we continue to visit the country, talk to and thank businesses with an existing Mississauga investment, but also those who are looking to internationalize. We have a strong value proposition, but we need to ensure as many businesses as possible hear it. 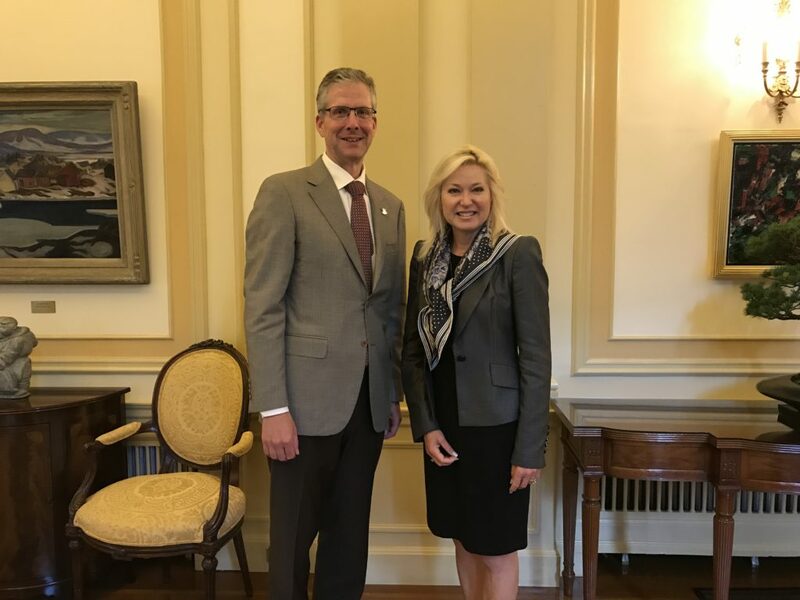 Along with Harold Dremin, Manager of Business Investment and Client Services in our EDO, I discussed our focus on the Japanese market and how in Mississauga, we are fortunate to be home to 100 Japanese companies (and growing), more than any other Canadian city, representing one-third of all Japanese companies in Canada. As an example of this, in August 2017 we hosted the largest Japanese Festival in North America in Celebration Square, with over 80,000 people attending over two days. 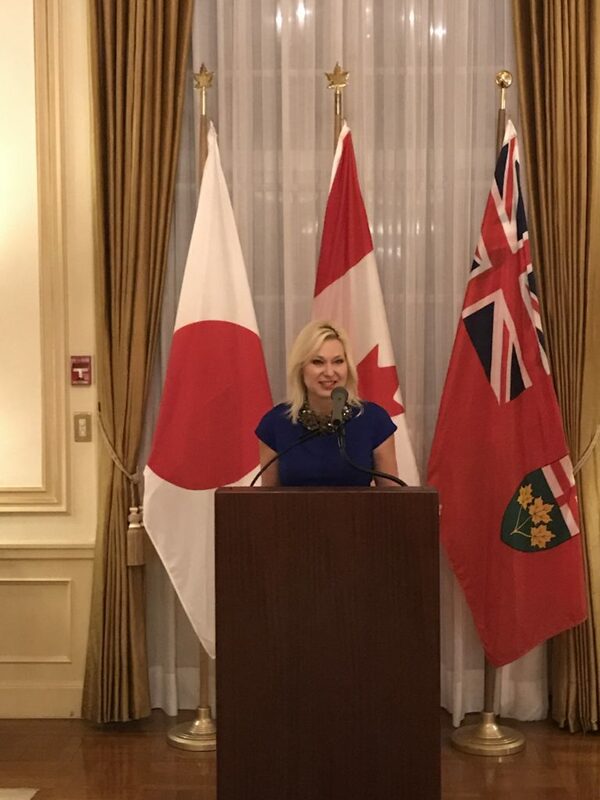 I also highlighted some of the big Japanese companies that call Mississauga home, including Panasonic, Konica Minolta, Mitsubishi Heavy Industries Canada, Canon Canada, NTN Bearings, Fuji Film, Subaru, Nippon Express, and Sumitomo Precision Products, to name but a few. These companies are not only large and well-respected companies in Canada, but in Japan as well. I have made it a point to visit these firms during the last three years as Mayor and keep a regular dialogue to address their needs and concerns. I also discussed with the journalists how our strong, stable governments and our safe communities makes Canada, and Mississauga attractive destinations for Japanese businesses to locate and operate. In fact, according to JETRO, “Diplomacy,” “trade,” and “tax regime” rank in the top three fields of interest. We have a competitive advantage in Canada. 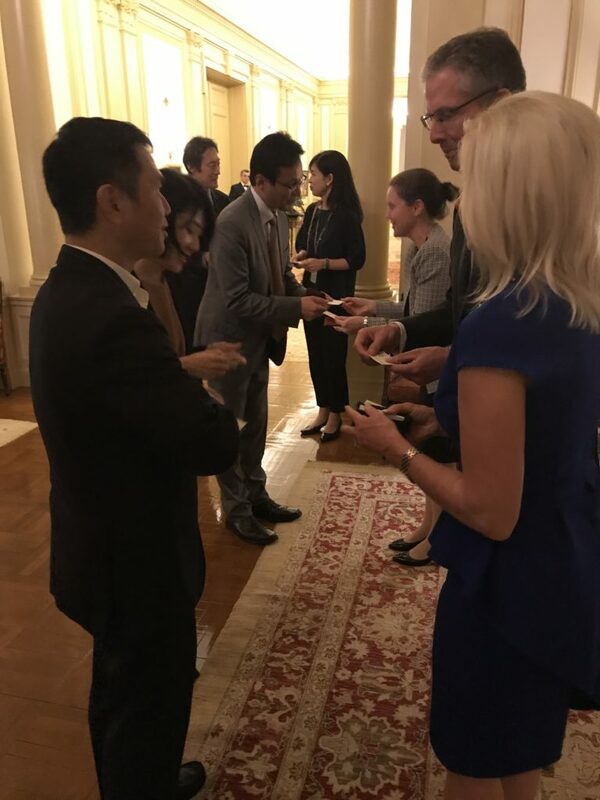 Photo Caption: Speaking with journalists about Mississauga’s value proposition and why we enjoy such great success with Japanese companies. The journalists wanted to know more about why businesses choose to locate in Mississauga and what makes us attractive compared to other North America jurisdictions. I spoke at length about our low corporate tax rate compared to the United States, our access to the American market through NAFTA and the European Market through CETA. In fact, 41 per cent of Canadian-based Japanese companies use NAFTA when importing goods. I conveyed how as a city, we continue to work with our businesses long after they’ve made their initial investment – this makes us unique as our EDO provides ongoing, hands-on service to all businesses. An example of this is the work we are doing with Denso, a Mississauga-based Japanese company. They have a new energy-efficient air conditioning unit for city buses that we will test on our MiWay buses. 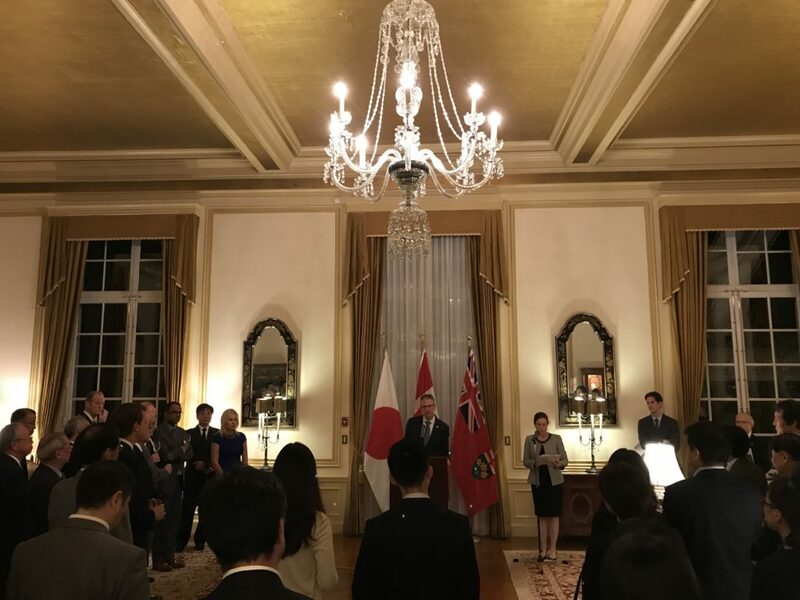 This kind of partnership gives other Japanese companies confidence that the City of Mississauga will continue to work with them to help their businesses succeed. Japanese companies in Canada are profitable. In fact, according to JETRO, over 72% of Japanese business in Canada in 2016 made profit. The media also asked about innovation in Mississauga and how we support research and development. We spoke at length about how Mississauga is on the so-called “innovation corridor” that runs from Toronto, through Mississauga to the Kitchener-Waterloo Region. Mississauga is home to many innovative companies including SOTI, Point Click Care, Microsoft, Oracle, HP Canada, and many more. In particular, we will soon be home to the National Research Council (NRC) Canadian Centre for Advanced Materials Manufacturing (CCAMM), which will be located on the Xerox property in the Sheridan Research Park. This $25 million investment in a new facility will employ scientists and engineers who are pursuing the development of new materials and compounds for a wide variety of industrial uses including life sciences, aerospace, automotive and many more. With this new investment, Mississauga will be the epicentre of advanced materials research in Canada. Following the media conference, we travelled to the headquarters of Toyoko Inn, one of the largest and most successful hotel companies in Japan. They are famous for their high-quality, clean, low cost business hotels. Of note, Toyoko Inn holds the Guinness World Record for 100 per cent occupancy in its 48,231 rooms in its 250 Japanese locations during a 24 hour period in 2015. Toyoko Inn is actively looking at expanding to the North American market, in particular in Mississauga near Pearson Airport. Our geography and direct access to the airport make us a very attractive destination for their first Canadian expansion and investment. I look forward to continuing to work with Toyoko Inn in the coming months to welcome them to Mississauga. Immediately following our Toyoko Inn meeting, we met with senior leadership of Subaru at their Tokyo head office. Subaru Canada has been in Mississauga since 1989. They have expanded their operations twice, but have always stayed in our city. It was immediate early in the meeting the affinity and affection Subaru has for Mississauga. 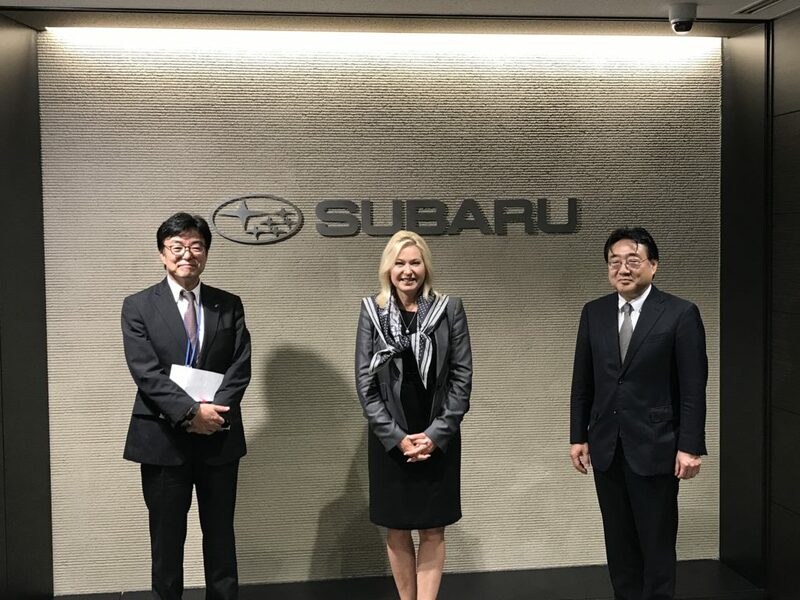 The purpose of this meeting was to thank Subaru for its ongoing investment and confidence in Mississauga and to discuss how we can assist with their future growth in our country. Subaru sells 7 vehicle models in Canada, and are poised to grow in the years to come. They are also expanding their aerospace business. Guests travelled from other Japanese cities like Nagoya and Osaka to be at this reception. Day 1 in Japan was incredibly busy, but also incredibly productive. Tomorrow we board the Shinkansen or “bullet train” to Nagoya where we will set up the Mississauga booth at the Aeromart Nagoya event, one of the most important aerospace trade shows in Japan. On Wednesday, I will be giving a plenary speech to talk about the success Japanese aerospace businesses have had in Mississauga, as well as our unique and highly attractive value proposition. Already, there is a “buzz” about Mississauga. I am excited for the opportunities the next four days present for our city. This entry was posted in News, The Crombie Column. Bookmark the permalink.